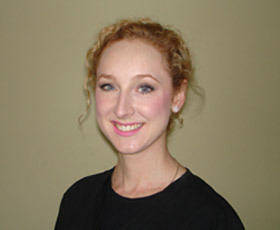 Dr Alexandra Henderson qualified from Guy's King's and St Thomas' dental school in 2010. Since graduating she has worked as a Senior House Officer at Guy's Hospital in the Oral Surgery and Restorative Dentistry departments and as an associate dentist at our practice. She has completed the Membership of the Joint Dental Faculties examination and is qualified to provide Invisalign and Inman orthodontic aligners and Enlighten bleaching. She is currently undertaking a Restorative Dentistry MSc course at the prestigious Eastman Dental Institute. She is a Foundation Dental Trainer and is involved in the supervision and training of recently qualified dentists. Alex takes pride in the quality of her work and making patients feel at ease, as she understands visiting the dentist can be a stressful experience for many patients. In her free time Alex enjoys walking and keeping fit, the theatre, concerts and reading.